The 193-member UN General Assembly will elect new members today to the UN Human Rights Council. The members are elected by absolute majority through a secret ballot. Countries need a minimum of 97 votes to get elected to the Council. New members of the UN Human Rights Council will serve a term of three years beginning January 1, 2019. India appears set to be elected to the United Nations' top human rights body in the Asia-Pacific category for a period of three years. India will be vying for the seat in the Asia-Pacific category. Along with India, Bahrain, Bangladesh, Fiji and the Philippines will also stake a claim in the same regional group. Given that there are five nations vying for five seats in the Asia-Pacific category, India's election to the council is all but certain. Ahead of the election, India's Permanent Representative to the UN Ambassador Syed Akbaruddin had tweeted that "Pitching together. Bahrain, Bangladesh, Fiji, India & the Philippines stake claim to 5 seats for Asia-Pacific region at Human Rights Council elections." The new members will serve a term of three years beginning January 1, 2019. 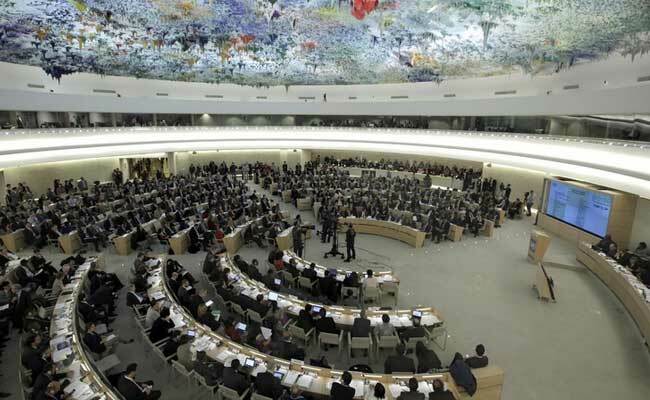 India had previously been elected to the Geneva-based Human Rights Council for the 2011-2014 and 2014-2017 terms. Its last tenure had ended on December 31, 2017 and in accordance with the rules, it was not eligible for immediate re-election since it had already served two consecutive terms. On the basis of equitable geographical distribution, council seats are allocated to the five regional groups as follows: African States, 13 seats; Asia-Pacific States, 13 seats; Eastern European States, 6 seats; Latin American and Caribbean States, 8 seats; and Western European and other States, 7 seats. All five of the General Assembly's regional groups submitted competition-free slates, meaning that all candidates, regardless of their rights records, are virtually assured seats on the council. Since 18 nations are vying for a total of 18 seats across five geographical groups, they are expected to be elected unopposed. Burkina Faso, Cameroon, Eritrea, Somalia and Togo are vying for five seats in the African States category, Bulgaria and Czech Republic for two seats in the Eastern European States group, Argentina, Bahamas and Uruguay for three seats in the Latin American & Caribbean States group and Austria, Denmark and Italy for three vacant seats in the Western European & other States category. On the eve of the elections, rights group Human Rights Watch said UN member countries should oppose the candidacies of the Philippines and Eritrea for the Human Rights Council because of their "egregious human rights records".